How would you feel if you made TWENTY THREE outs in one week? And struck out six times? And had three of those strike outs in ONE GAME! (in front of a huuuuge crowd, no less). …and was named American League Player of the Week! You see, even the super-beasts of the MLB “struggle”…. …even while they’re KILLING IT. Francisco had 23 opportunities to tell himself how bad he is. When he struck out three times against the Yankees…. …what do you think he was thinking to himself? Do you think he panicked? Or was afraid of what his teammates thought of him? …or thought he couldn’t possibly play well the next day? And because he didn’t let the negative thoughts swirl in his head, he was ALSO able to hit .425 with 10 RBI and 4 homers. 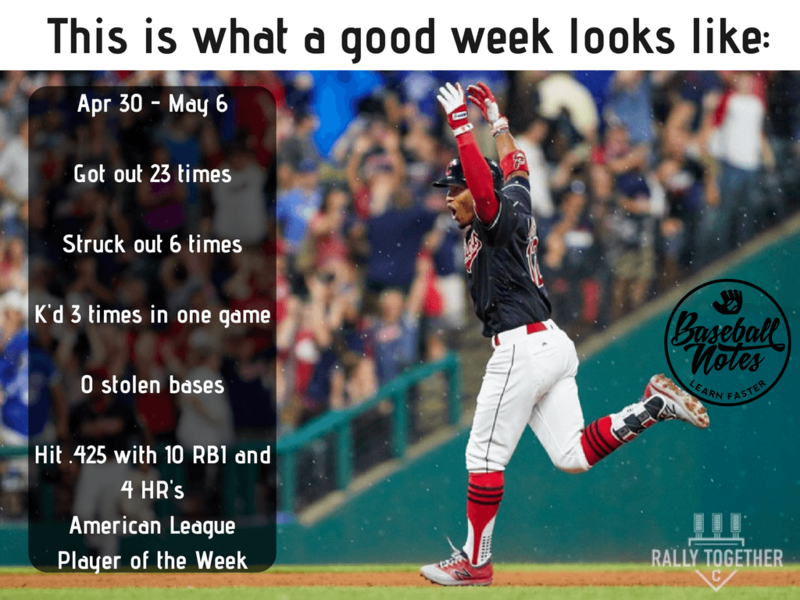 So 23 outs, 6 k’s, 3 in one game, no stolen bases…from the most productive player in the major leagues last week!!!!! This is the game we play guys. If you need EVERYTHING to go perfectly for you to be happy…. …then you still just don’t get it. This isn’t a game of perfect. An out in one at bat doesn’t affect the next. A rough day doesn’t affect the next…. …unless you choose for it to. So our goal this weekend is for your son (or daughter) to be RESILIENT. …but what you CANNOT do is be devoured by the negativity and emotion when something doesn’t go your way. There’s something weirdly satisfying about holding on to your frustration. You may even feel the need to pout, throw something or have bad body language. But let me tell you, that behavior is small time. And you my friend, are most definitely NOT small time. So for your next set of games, I’m not asking you to get hits. If the hits fall or not is none of our business. What I *am* asking is for you to be resilient. Now, it’s ok to be frustrated for a minute, that’s totally normal. But you can’t hold on to it. The power of a good cleansing breath can NEVER be overstated. So take a BIG inhale of that good clean air…. and focus on the next task at hand. I like to do a little double hand clap whenever I need a boost. I still do it to this day (my wife thinks I’m crazy). Something about it picks me up emotionally, and it’s a great trigger to switch into “I’ve got good things ahead in this game” mode. When you smile, things get better. A smile tells your brain and body that things are fine. A smile gives YOU control over your emotions, not the circumstances. Let the average players out there be crushed by their doubts and struggles. You are big time. Behave accordingly. 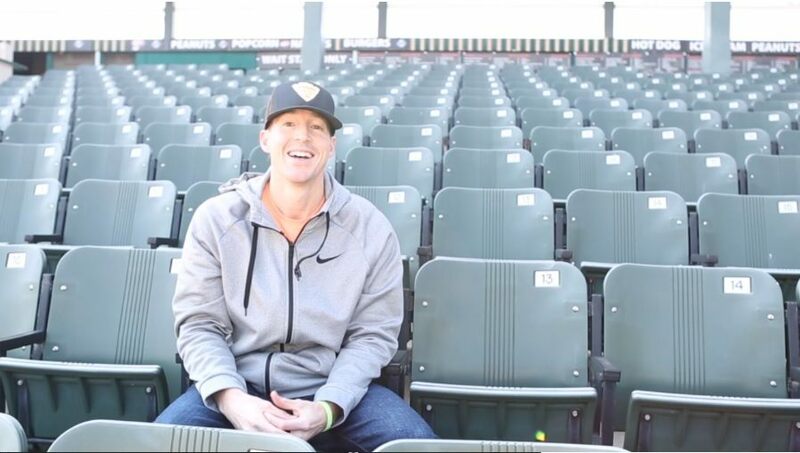 Clint McGill is the founder of Baseball Notes, former professional player, host of the Youth Baseball Conference and creator of The Bulletproof Hitter. 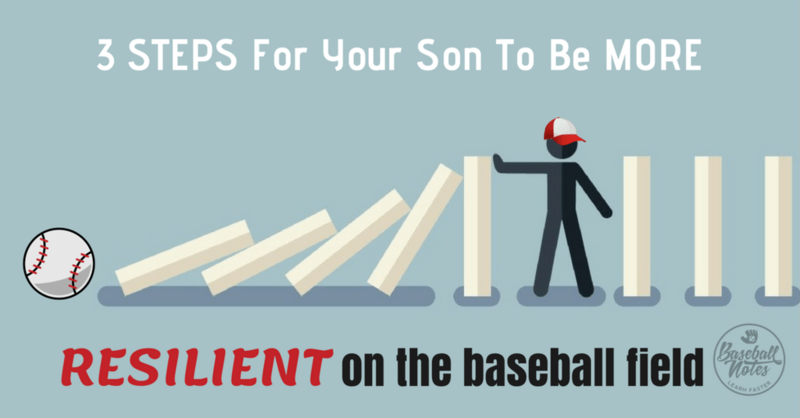 Clint helps young ballplayers manage their nerves and perform better on gameday. For more info on the highly acclaimed program, click here.